This product is amazing, my husband loves it. Use this 3.3-ounce bottle of eau de toilette spray to attract attention with a rich blend of scents. Woody fragrance notes give this spray a charming, masculine aroma. 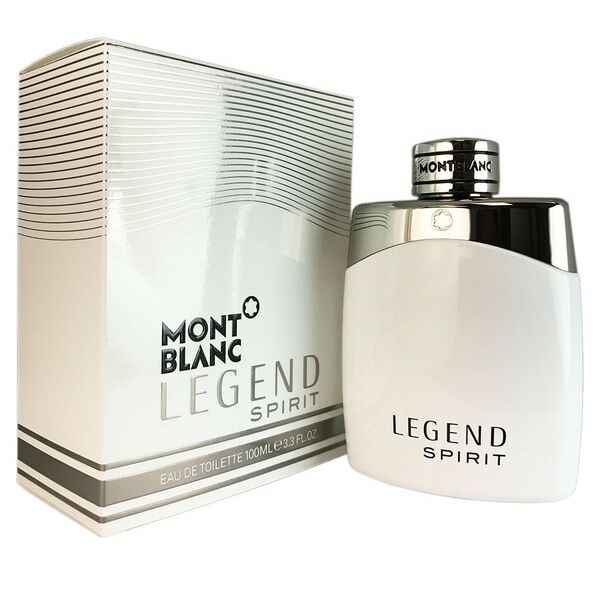 If you enjoy Mont Blanc Legend then you will love this one, thought maybe it would be too similar to the original but have found it to be a great complimenting scent. I do find that the longevity isn't as good as some other but all in all a very pleasing not overpowering mens cologne. The scent is amazing. I really enjoy the Mont Blanc Legend Spirit smell. It lasts a long time and is not too strong to cause a problem for people who react to strong cologne and smells. I first discovered this cologne last year when I bought a cologne for my brother and they gave me a sample of Mont Blanc and immediately I love it. I bought this for my fiance, he has worn the classic mont blanc legend for a few years now and this one is very similar but different. He described it as being a little bit more sweeter scent than the classic, he loves it and this is his new favorite! I absolutely love this cologne. I get compliments on this from both men and woman all the time wanting to know what it is. I highly recommend. I'm not really a fan of sweeter smelling colognes but this one is great. The fragrance was very nice. Would recommend this to a friend. Love this smell! One of my favorites. My husband has used multiple fragrances of Mont Blanc but this by far is his fragrance. Can’t beat the price on Overstock! Shipping was a bit slow. Wish Overstock and choice of shipping preferences. No issues with either shipping or purchase. Smells great and for a great price. Fantastic fragrance at a fantastic price!